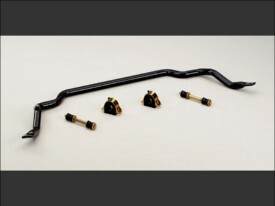 Improve cornering by reducing body roll with a Hotchkis Performance Front Sway Bar. Hotchkis bars are CNC bent for a precise fit and feature lightweight hollow construction and include greasable polyurethane bushings, end links, brackets, and all necessary hardware. Hotchkis bars are powder coated for durability, and tested and tuned to ensure the best performance possible.